Do you appear to be of equal business or social status? You may be considered for further conservation. Do you appear to be of a higher business or social status? You could be looked up as a valuable contact. Do you appear to be of lower business or social status? You will most likely be looked down upon and kept at a distance. Let’s take this a step further. Each morning you take time to get ready for the day; you comb your hair, put on professional attire and so on. 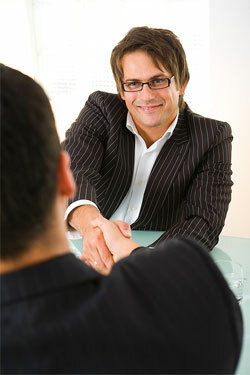 Basically, you understand the importance of your looks in making that positive first impression. Don’t forget the first impression of your marketing materials. Does the quality and look of your business card, brochure etc., reflect your business. Or did you print it off your laser printer on the perforated stock from Office Max. Spend a few more dollars to have your marketing materials look professional and create that positive first impression which will increase your opportunity for business. 2) WIIFM (What’s In It For Me) Let’s face it we are in a WIIFM society. People don’t really care about your products and service unless they have a need or want you can meet. With this in mind don’t try to sell your product or service with everyone you talk to. Take the position of how can you help them. Ask about their business, what are good leads for them etc. Then when you are asked about your business you will have an understanding about their needs and can focus on how your organization can meet those needs – but do it briefly. 3) Be prepared. All too often many people who share their 30 second commercial, or as some call it your elevator speech, do what is called a show up and throw up. They don’t give any prior thought of what they’re going to say and it sounds and leaves a negative impression. Focus on one area or product you offer. Remember WIIFM. What need or want does the overall audience have and how can you meet it. Give the name of your company, your name and sit down. Keep your “commercial” short and simple. The goal of the 30 second commercial is for people to ask for your business card. 4) Don’t Give Up. Getting referrals from networking groups takes time. Don’t expect to walk into your first meeting and walk away with a ton of business. In fact don’t expect to get any business for a couple of months. Studies have shown that the first year you receive a very small percentage of referrals. The second year will approximately double the first, and after the third year and beyond really jumps. Networking is extremely effective if you work it. 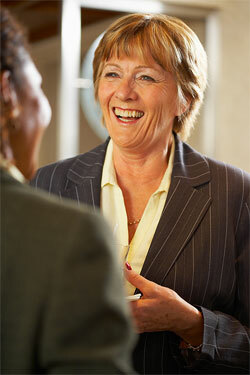 For many people networking is their primary method of advertising especially in the service industries. Most people who join a leads group for the first time are nervous. But it can be fun. You can make some really good friends. These same friends are excellent resources for business, mainly because they tell others about your company. Think of leads groups as an extension of your sales force without having to pay salaries and commissions. We all know that the best method of advertising is word of mouth.